As Halloween and Bonfire Night approaches did you know that statistically its the worst time of year for burglaries. Studies show that when the clocks go back at the end of October, burglaries increase by a massive 38 per cent, and domestic damage increases by a huge 160 per cent. Here are some tips to secure your home as the dark nights become longer. Don’t let an intruder be your Halloween Fright! You know the 31st is approaching when the shop aisles are already being filled with scary decorations and multipack sweets are at almost every aisle end, its not wonder why Halloween has become one of the year’s biggest events, not everyone is the biggest fan of Halloween, and some may even feel threatened by the prospect of hordes of trick or treaters knocking at their door. If you are like many of the other households who would rather not be disturbed by the doorbell this 31st October, a great tip is to put a sign on your door politely asking trick or treaters to not enter. You can pick up free posters from selected local police stations or download them from the internet. Always remember that you are not obliged to open the door if you don’t feel safe. If Halloween makes you particularly nervous, or you know someone who is elderly or vulnerable and they will be alone, make some arrangements to keep them company during the evening.
. Don’t overdo it with the decorations, and if you do! Be sure not to cover your windows or doors to the point where you can’t see outside. You will want to check who is there before you open the door, even if you are willing to entertain trick or treaters. Remember, just because the doorbell rings on 31st October, doesn’t necessarily mean there’s a group of innocent treat hunters waiting outside: it could be an opportunist looking to get a foot in the door.
. Be sure to Switch on your outside and hallway lights. If there is an opportunist looking to gain access, they’d rather not do so without cover of darkness. 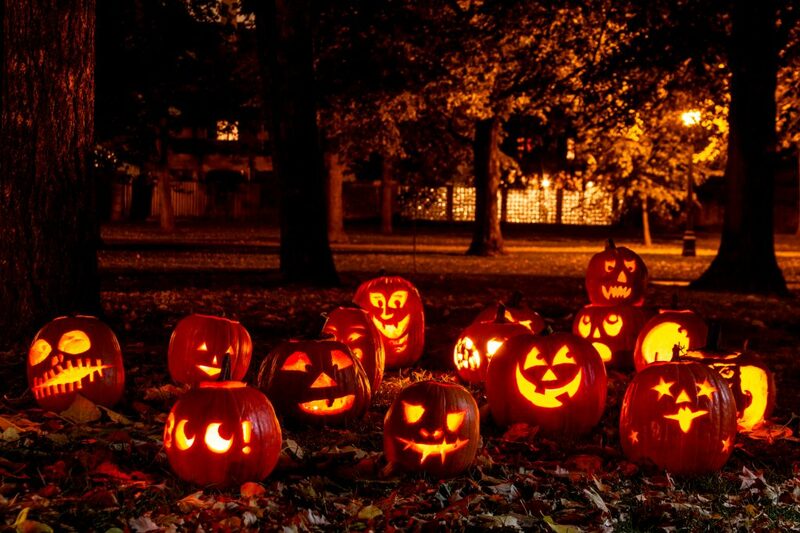 Also, you wouldn’t want an accident happening within your garden because it wasn’t correctly lit for trickle treating.
. Make sure your door is locked, it’s easy to forget to lock your door With so many groups coming and going, it could be easy to forget to properly close and lock your front door between visits. Leaving doors on latches, propped open or not locked so they can be opened from the outside without a key is inviting trouble. Remember your home security on the 5th of November!
. 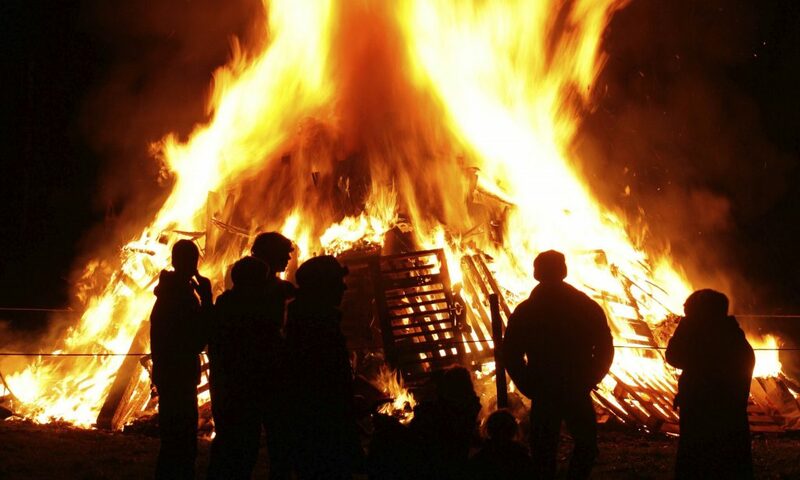 Keep your house entry points secured, If you’re hosting a party at home and everyone’s in the back garden huddled round the patio heater enjoying cooking marshmallows on an open fire while watching the firework display, make sure the front and sides of your house are well secured. With visitors coming and going it can be easy to overlook properly locking the front door or side gate, and an open window at the front of what appears to be an empty house could provide an open invitation for an opportunistic burglar.
. Keeping lights on, both outside and inside, at the front of the house will deter a would-be intruder. Remember: darkness provides cover.
. If you’re off to an organised firework display or a party at someone else’s house, be sure to lock all your doors and windows before leaving, and leave lights on both outside and inside to make it look like someone’s home. Pull your curtains to prevent inquisitive potential intruders taking a sneaky peek and be sure to secure any valuables such as jewellery or tech in a safe or locked cabinet, along with your car keys if you’re not using them.